Although we are only at the tip of the iceberg of blockchain’s immense potential, industry leaders like Bob Greifeld, CEO of Nasdaq, have already pegged the emerging technology as “the biggest opportunity set we can think of over the next decade”.i From the humble origins of Bitcoin, blockchain has since captured the imagination of everyone from Richard Branson to Bill Gates and virtually every large financial institution on the planet. 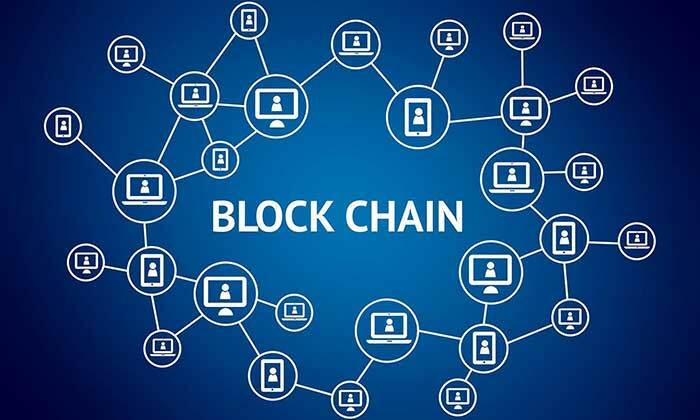 Blockchain is changing the way business is done all around the world, both for transactions as well as data processing where accuracy and security is paramount. If that sounds broad, that’s because it is: more and more applications for the technology are being discovered as it evolves. A blockchain (singular) is a digital ledger that’s shared between many parties. Kind of like a database or a spreadsheet that everyone can see and update – but not edit or delete. When a transaction is completed, it becomes a block in the chain. The way it works means no one party has control; it’s decentralised. Each block in the chain contains a re-coded copy of part of the last block. It’s also easy to verify information or transactions, because each block in the chain comes with its own little timestamp. This makes it suitable for a variety of commercial and practical purposes. Where once ledgers or transaction histories were proprietary, they’re now public (at least to the extent they need to be – there’s still privacy and personal secrecy at the individual’s entry point to the blockchain network). To contrast it with ‘traditional’ digital transactions, it’s viewable and verifiable by everyone (not just the two parties to the deal), and the record can’t be changed or deleted. If a transaction has to be corrected, the difference or reversion is worked out and another block is created. What’s blockchain being used for right now? Around the world, several private companies are working on ways to use blockchain for medical records.iii The advantage would be that it would be accessible from anywhere, anytime, reducing guesswork and errors in critical situations. At the moment, different digital medical record systems are all in different ‘languages’, and privacy laws mean it’s hard to share a physical paper file. If you’re thinking, “hold up, wouldn’t that mean everyone would be able to see my private health information? !” don’t worry – each block is coded and can only be ‘opened’ with a private key. So, for example, you might have to give your doctor a password to access your info. The thing that’s got the business world so hyped about blockchain is that it’s got almost endless applications where transactions need to be secure and records unchangeable. There’s no doubt that blockchain will ruffle the feathers of businesses whose main value proposition is that they’re the sole repository for critical data. In the next few years, massive institutions like payment networks could disappear. And the international politics of regulating a decentralised system are going to be… intense, to say the least. We’re teetering on the precipice of a massive change in the way we communicate security-sensitive information. It’ll be exciting to see where blockchain takes us next. Should you require any further information please feel free to contact Peter Quinn by submitting an online enquiry or calling us on +61 2 9580 9166 to book an obligation free appointment.